Transey provides real translations from native speakers. With translators from more than 83 countries, Transey is your partner when it comes to speedy translation services at a price you can afford. Unlike our competitors, we don’t work with 500% margins. Instead, we deliver high-quality translations produced by real citizens of countries where your target language is spoken. Our translations are written by native speakers and reflect current slang and trends. Our translations won’t look weird or unnatural. So you’re probably wondering how we match your order to our translators. It’s thanks to our systems, which have been specially designed for Transey. Our advanced algorithms ensure your text is immediately placed with the most suitable local translator. We mean what we say; there’s no small print or hidden clauses that limit our services. No matter what size your job, we complete 99.7% of orders within one business day. Yes: one-day translation. Transey was founded by iAmAttilaIt is the sister company of Banners&Landers. The internet has opened many doors. 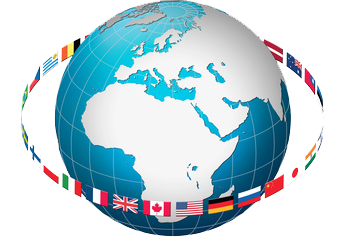 With just a few clicks of a mouse, you can promote your products and services all around the world. Our top-tier native translators, from more than 83 countries, are ready to work with you now to take your business to the next level. Whether you want to localise your product or break into new foreign markets, you need properly translated text. Place an order now and experience the Transey difference. We’ve developed the Transey system to give you the highest quality translations by genuine native speakers at a GREAT price. Our founders understand that high quality doesn’t always mean high price. The way we recruit and retain our translators means it’s easy for us to keep work flowing. We’ve eliminated the need for high overhead costs – and we pass on the savings directly to you, our customers. We understand time is money. There’s nothing worse than having to wait for part of a project to come to fruition – delays can cost thousands. That’s why we have hundreds of translators standing by to get your order ready as fast as possible, usually in just a couple of hours!